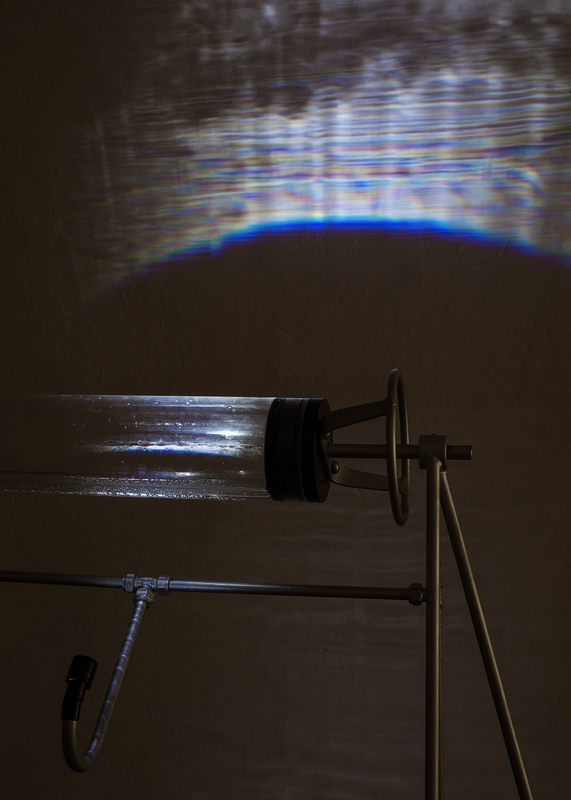 ‘Dream Machine’ is a dynamic sculptural installation that was inspired by the artist’s continuous interest in fluid motion and liquidity. 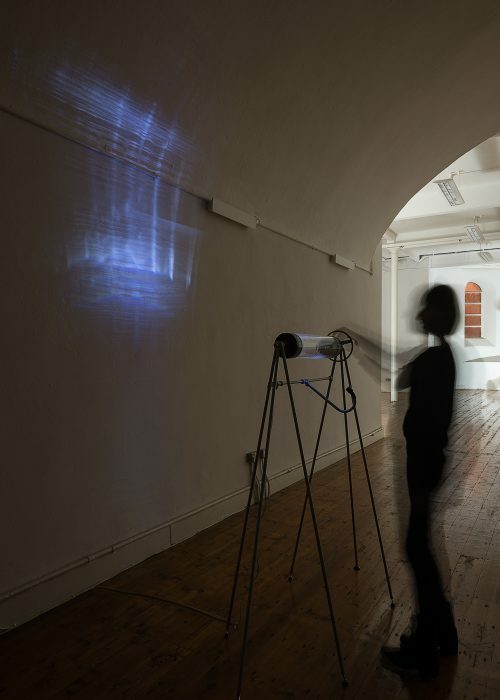 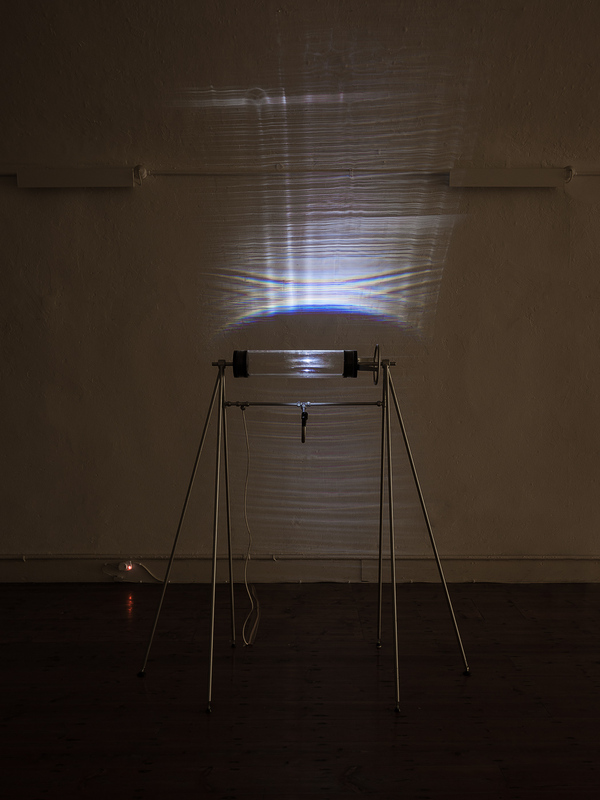 The installation is manually activated by the viewer, whose interaction with the sculpture and the liquid creates a moving light reflection on the wall of the gallery. 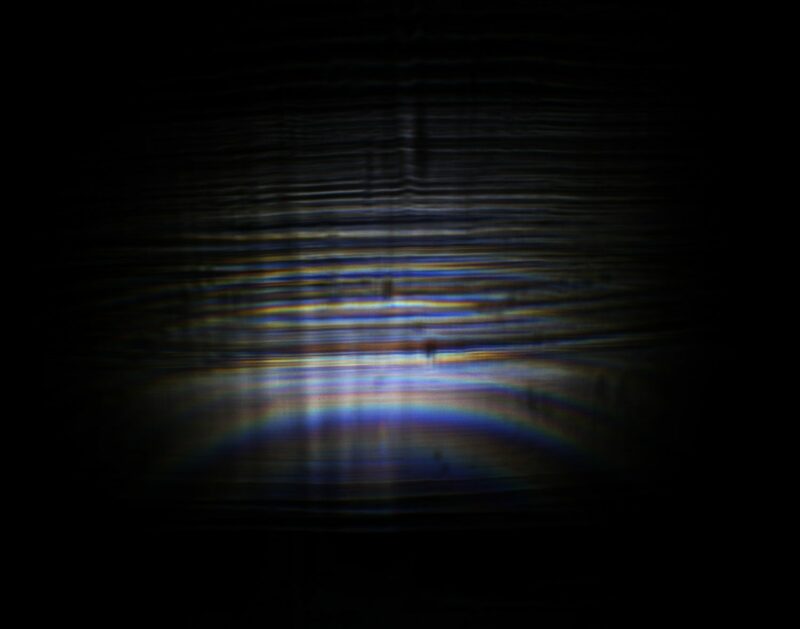 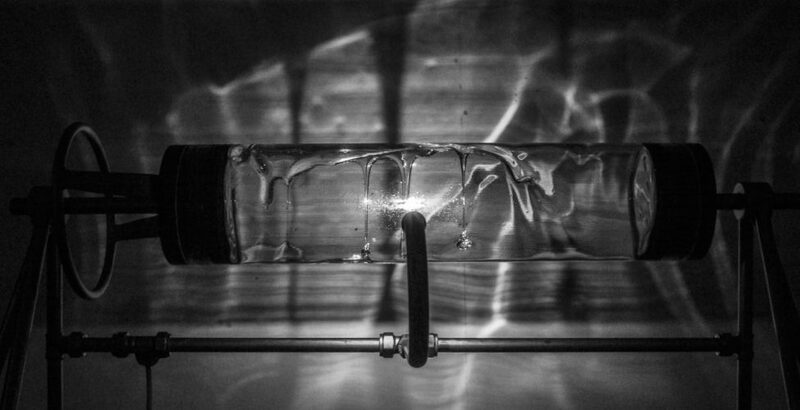 Exploring the relationship between the liquid and light, the viewer is able to sculpt the reflection into a unique and unpredictable fluid light pattern.